Understanding Bad Dog Behavior Master dog behavioral therapist and trainer Al Holzer discusses reasons why bad dog behavior occurs. Keep Kids Safe The Bach & Buster Buddy Dog Safety Program is designed to help educate children how to stay safe by learning the right choices to make when around familiar and unfamiliar dogs. Dog Safety in the Heat Bark Busters trainer Al Holzer discusses important things to remember for keeping your dog safe in the hot summer days. Taking Your Dog to Work Al Holzer, dog behavioral therapist and trainer from Bark Busters Home Dog Training, talks about taking your dog to work. Tips for Safe Travel with your Dog Local Bark Busters Dog Behavioral Therapist and Trainer Al Holzer (Portland area) has helpful tips on ensuring safe travel with your pet. 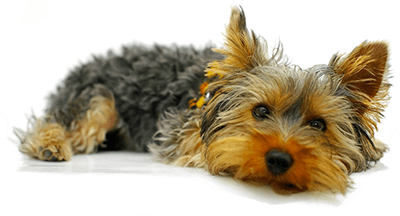 Dog Behavioral Problems Bark Busters dog behavioral therapist and trainer Al Holzer discusses tips for better behavior from your dog. Problem Pooch Dog behavioral therapist and trainer Al Holzer of Bark Busters helps problem pooch with barking at the oven, excessive jumping, walking to heel and more. Top 5 Mistakes Dog behavioral therapist and trainer Al Holzer of Bark Busters talks about the top 5 mistakes dog owners make.